Pricing lies we tell ourselves. After a long day of pricing discussions on twitter, having written about it on Torque, and talked about it with friends – you think I’d be all done with pricing. 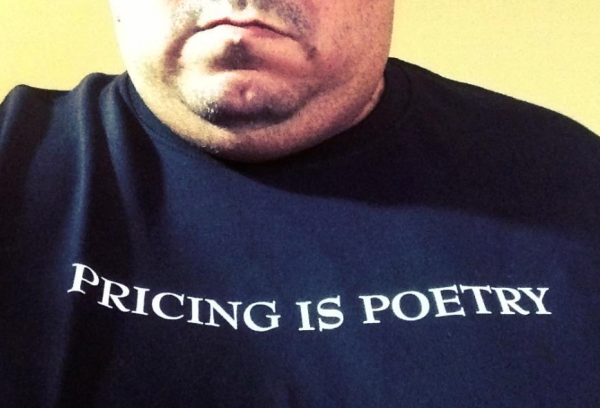 After all, my friend, Cory Miller, wrote about pricing today here in response to the changes announced at WooThemes over here. But I came home to find this article in my queue and after reading it, I was ready to write again. 1. Your current sales volume needs to support your existing support costs. There’s a phrase we use for systems where new users pay for old users – it’s called a Ponzi scheme. So don’t believe this lie. Your current sales revenue should cover the support costs of those who you just sold to. In other words, your transactions ought to make sense and be profitable. That’s not true. It has nothing to do with volume. It’s about revenue and profit margin. You can have very low sales volume and still make a killing (like selling a Ferrari). 2. You shouldn’t charge for things you’re going to do anyway – like update your product. This will only get you into trouble. When car companies spend their R&D budgets to update their product lines, they do it with full expectations to bury those costs into the new models. That’s why some of those models get pricier every year. It’s also why those upgrades tend to include more than just updates, but new features – because the financial model makes sense. So charge for updating your product. Charge for everything you do, whenever you do it – because a) you deserve it, and b) if you’re not paid to do it, you might decide not to do it. And one day it may be cheaper to kill the product all together. I could tell you all about rent control and the consequences in communities where landlords decided it was cheaper to leave units vacant than to rent them, but that would just take more time to tell you one more story. I think you get the point. 3. You must grandfather in all your existing customers. The guys at WP Ninjas didn’t write about this – so I don’t have quotes for this lie. But I saw it all over twitter today, like it was some pricing rule that everyone had to keep. Well as a rule, it’s horrible logic. Imagine that a company, any company, sells software widgets. Now, this company sold 10 of these widgets for $10 each, and promised lifetime support – for any site they used it on. Now, let’s assume that of the 10 deals they made, 8 of them only used them on a single site, never called in for support and basically gave the company $80 of pure profit. I’m keeping the numbers small and simple because I think I can make the point without calculus. Now, let’s assume that 2 of the customers put it on 20 sites each – 40 customer sites. And they have one request for each. That’s 40 support requests. And each one costs $5 to support. That’s $200 in costs. From 2 customers. So 2 legacy customers can ruin an entirely good thing for 8 other awesome customers. Now let me ask you this – if 20% of your existing customer base can kill your entire business (or that product line) – who on Earth cares about future business? Grandfathering is nice – but not always a good thing. Why do we talk about grandfathering in old customers when some of them might be the core of the problem? We end up right back to lie #1, that new customers should pay for old ones and you know what that’s called. That’s why, what you really want to do is find ways to find those 2 customers (in our fictitious example) and understand that segment so you can either lock them down (like to 25 deals only) or have them leave. To be clear, I know nothing about WooThemes real data. I’m just saying that people screaming for grandfathering fundamentally miss the point. It’s not new business that could kill the product line, it’s the existing customer base. That’s why segmentation is so critical. And that’s why I suggested in an earlier post that sometimes raising your rates by 10% might cost you 10% of your customer base, but that it might be a very good thing indeed. Even if the guys at WP Ninjas didn’t think that was a good idea. The bottom line of a lot of this thinking is that you don’t have to do hard work to figure out pricing. While I appreciate the truth that WP Ninjas wrote, that you can always change your pricing as you learn more, most of the rest of the article only continues to hurt a community that needs to mature in it’s thinking about pricing. Pricing is tough work. It takes skill. And data. And you need to keep adjusting. But what you need to stop doing right away is telling yourself and others around you some of these pricing lies.